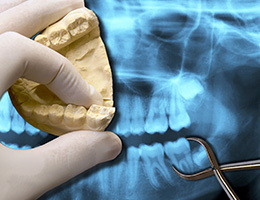 Teeth are often damaged by decay, disease, or injury. For those with damaged smiles, restorative dentistry can provide a solution. With various restorative dentistry treatments offered at Cowlitz River Dental, from fixes for cavities to options for replacing missing teeth, we make sure that your smile can be as healthy and strong as possible. Dr. Kennington has evolved our Castle Rock, WA dental office over the years to provide technologically advanced restorative dentistry treatments, helping patients experience great smiles effectively, efficiently, and comfortably. Our dental team offers quality restorative solutions that can revitalize teeth at various stages of harm, even if they’ve been lost altogether. For instance, dental crowns are designed to have a two-pronged effect when they cover a single tooth, both rebuilding its original shape and function and preserving what remains of its structure underneath. Dr. Kennington may recommend a crown for situations involving significant tooth decay, failing fillings, serious oral injury, or weakened enamel. They are also used to restore dental implants and teeth treated with root canal therapy. If the patient has lost natural teeth, a dental bridge is an available option for rebuilding strong smiles. Traditional bridges are held in place within your mouth by attaching crowns to adjacent healthy teeth. Alternatively, implant-retained bridges anchor to implants instead, which may be a healthier and longer-lasting option available here in Castle Rock. Tooth-colored fillings have become the preferred choice for correcting dental cavities and repairing your smile’s structure in place of traditional amalgam. This type of filling is crafted from flexible composite resin, and our team can closely match its color to your smile’s natural enamel for a very lifelike result. 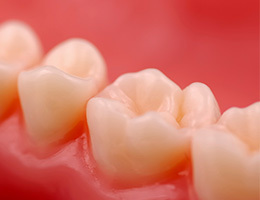 Additionally, composite resin forms a direct bond with teeth, which allows us to craft smaller, more conservative fillings and preserve more of the tooth’s remaining healthy structure. Traditionally, dental restorations like crowns have required at least two appointments to fully complete. If you have limited time available, there’s an alternative solution that is more efficient without sacrificing the quality our patients deserve: CEREC. 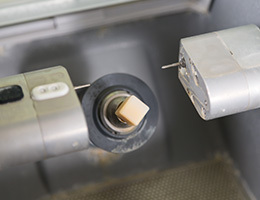 CEREC simplifies the entire restorative process – from initial impressions to milling to final placement – down to a single appointment, which means you will leave our Castle Rock office with a successfully rebuilt tooth. 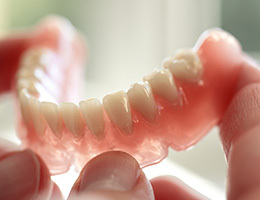 Dentures are the oldest form of tooth replacement by far, their use spanning hundreds of years. Today, this type of prosthetic is much more modern and comfortable than ever before, and it may be the right option for patients who have lost a significant number of natural teeth. At Cowlitz River Dental, Dr. Kennington offers both traditional full and partial prosthetics, as well as implant-retained appliances for a higher level of oral stability and function. If you are experiencing severe sensitivity and/or outright pain in a specific tooth, an advanced infection may be threatening its livelihood. While patients may assume that extraction is the only unfortunate option to relieve their discomfort, there is an alternative in the form of root canal therapy. During this procedure, our team will carefully access the inner canals of the tooth and remove diseased pulp and harmful bacteria before restoring the tooth with a customized dental crown. This procedure has a high success rate, helping countless patients maintain natural teeth well into the future. Sedation dentistry (including IV sedation) is available to help patients feel comfortable throughout the extraction process, and Dr. Kennington will work with you on further reconstructive care so that you can regain your complete smile.